Kids and fans alike can imagine the biggest battles and missions in the Star Wars saga with new, 6-inch scale vehicles from Star Wars The Black Series! With exquisite features and decoration, this series embodies the quality and realism that Star Wars devotees love. Rugged reptiles with thick hides, Dewbacks are plodding, but reliable mounts. When prodded by their riders, they are capable of brief bursts of surprising speed. These riders are often stormtroopers dispatched to desert worlds who wear specialized gear and are nicknamed Sandtroopers. Sandtroopers wear standard Stormtrooper armour augmented with cooling units, a helmet sand filter, and a survival backpack with extra rations and water. 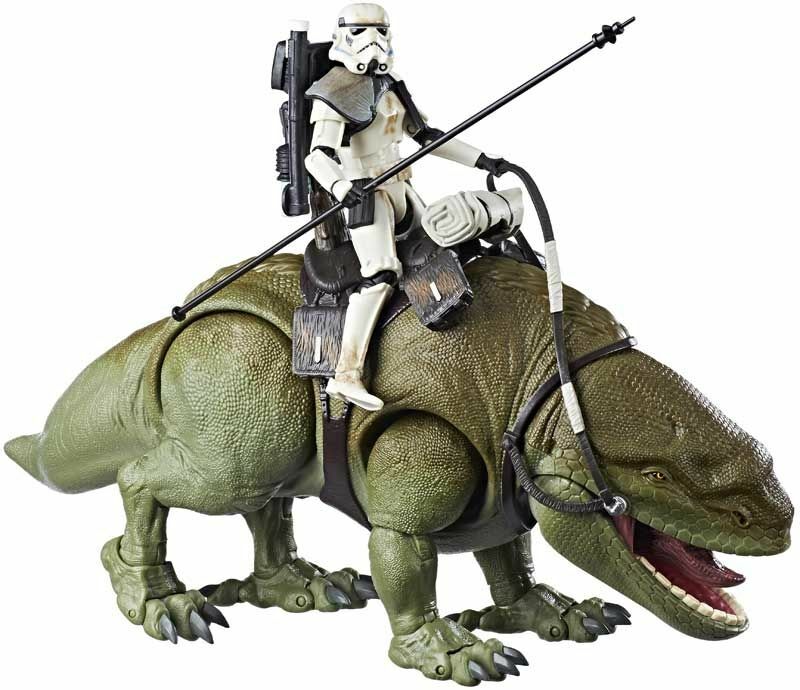 While hunting for the Death Star plans on Tatooine, Sandtroopers used native Dewbacks as mounts. Crafted to look like iconic creatures from Star Wars: A New Hope, this creature from Star Wars The Black Series is exquisitely-detailed with true-to-story design and incredible features. 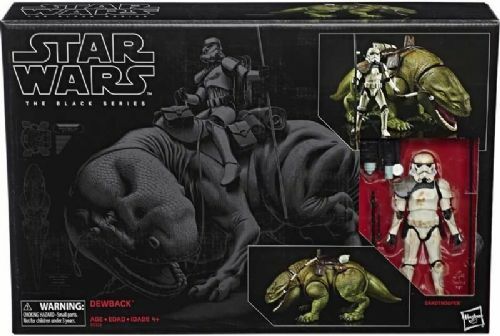 Designed for ultimate collectability and display, the Dewback creature and Sandtrooper figure feature movie-real design and detailing.